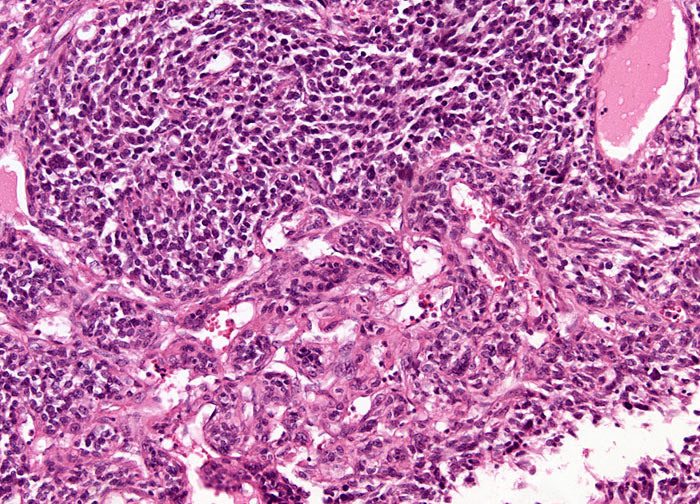 As is the case with most forms of cancer, it has not yet been discovered what causes uterine sarcoma. A few factors that may increase the likelihood of developing the disease have, however, been identified, the most notable of which is prior pelvic radiation. Yet, the benefits of radiation treatment, which is typically used to fight other serious types of cancer, usually far outweigh the increased risk of developing uterine sarcoma. Other factors that may increase the risk of sarcoma development in the uterus include age and race. Uterine sarcomas occur more commonly in middle-aged and elderly women, though they can strike at any age, and a subclass of the tumors, leiomyosarcoma, has a higher incidence rate among the black population than among white or Asian peoples.